"California has been getting hotter for some time, but July was in a league of its own. The intense heat fueled fires across the state, from San Diego County to Redding, that have burned more than 1,000 homes and killed eight." "It brought heat waves that overwhelmed electrical systems, leaving swaths of Los Angeles without power for days." Go deeper: Axios Deep Dive, "A 30-year alarm on the reality of climate change." 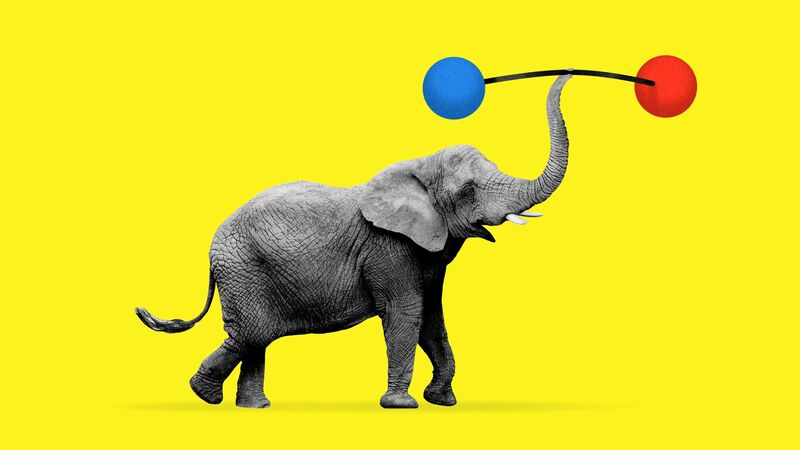 A House Republican aide explains that Trump's approval ratings are like barbells: bulging favorables and unfavorables on each end, and few in the middle who have no opinion or are persuadable. "Those unfav folks are coming out," the official said. "It’s so, so crucial to get those base voters." That, in a nutshell, is why Trump headlined three boisterous "Make America Great Again" rallies in five days: Florida on Tuesday, Pennsylvania on Thursday and Ohio last night. "She's part of a dedicated band of Trump supporters who tweet and retweet Keep America Great messages thousands of times a day." "She and her friends have been swept up in an expanded effort by Twitter and other social media companies to crack down on nefarious tactics used to meddle in the 2016 election." "Since 1999, children have committed at least 145 school shootings. Among the 105 cases in which the weapon’s source was identified, 80 percent were taken from the child’s home or those of relatives or friends. Yet The Washington Post found that just four adults have been convicted for failing to lock up the guns used." 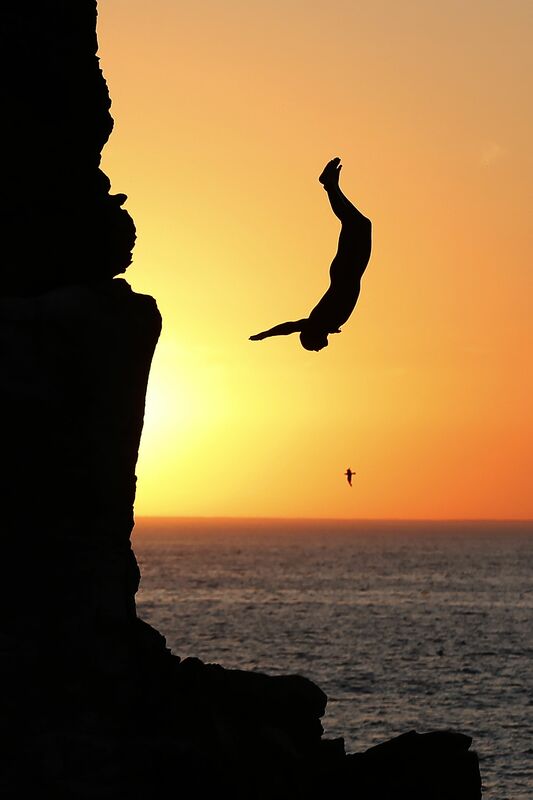 A boy dives off rocks into the sea at sunset in Quiberon, northwestern France. Why it matters: Maduro left the scene unwounded but, politically, the event will significantly damage his ability to rule. A viral video of the first lady and the military top brass looking scared, and images of soldiers running for cover, is just the latest illustration of how exposed the government is to crisis. P.S. N.Y. Times: "[T]his appeared to have been the first assassination attempt on a head of state using drones." "[O]ver the past few years the podcasters have become a significant cultural phenomenon, spiritual entrepreneurs who are filling the gap left as traditional religious organizations erode and modernity frays our face-to-face connections with communities and institutions." "[T]here are at least two dozen members of this podcast ecosystem. Their ranks include Joe Rogan, the tattooed, kale-drinking Ultimate Fighting Championship commentator and comedian; Tim Ferriss, champion of 'The 4-Hour Workweek'; Aubrey Marcus, founder and chief executive of Onnit, a nutritional supplement company devoted to 'total human optimization.'" "They appear on one another’s shows and plug one another’s products." "Evolutionary psychology is the secular answer to the doctrine of original sin: a primordial explanation for the anxieties that haunt us even if we have a decent job and a functional family." "The common thread ... is the quest to transcend the ego, and to overcome the idea that we are personally aggrieved by enemies wholly unlike ourselves." Why it matters: "The podcasters may offer a lesson to politicians and activists: to build a following, find a way to provide the sense of affiliation, daily rhythm and ultimate purpose that humans crave." "Slogans of victimhood and grievance may rile up the base. But most people yearn, instead, for a sense of belonging and a path to mastery." 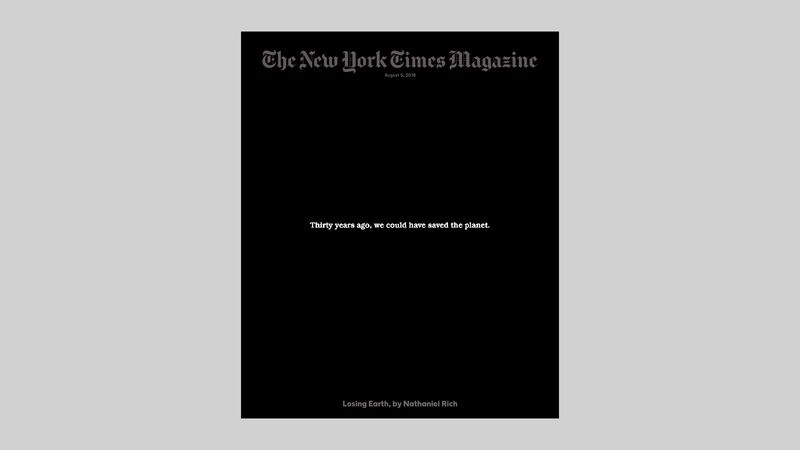 "This week's issue of The New York Times Magazine is dedicated to a single article ... which chronicles the early efforts of scientists, activists and politicians to raise the alarm about the dangers of climate change, and shows how close they came to solving it." "[I]n the decade that ran from 1979 to 1989, we had an excellent opportunity to solve the climate crisis. The world’s major powers came within several signatures of endorsing a binding, global framework to reduce carbon emissions — far closer than we’ve come since." "During those years, the conditions for success could not have been more favorable. The obstacles we blame for our current inaction had yet to emerge. Almost nothing stood in our way — nothing except ourselves. Nearly everything we understand about global warming was understood in 1979." Thanks for having breakfast with us. We'll have updates all day on Axios.com.